In 2017 Drs. 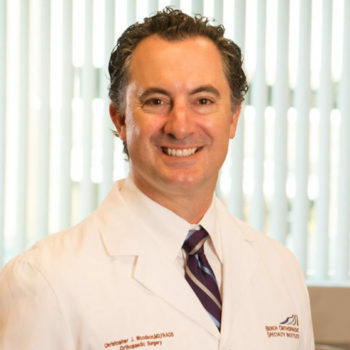 Christopher Woodson and Raymond Klug founded Beach Orthopaedic Specialty Institute (BOSI), the premier orthopedic provider to Orange County, Greater Long Beach, and the South Bay of Los Angeles. 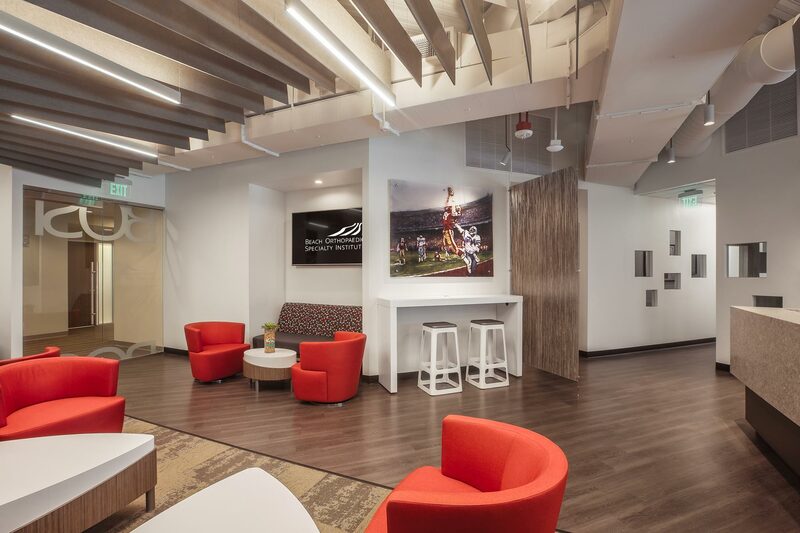 The vision of the practice is to provide the highest quality evidence based orthopedic care in the area within a personalized and efficient office setting. Dr. Verma was later recruited to care for pediatric and adult spine patients. Our surgeons are all fellowship trained. In addition, they are all passionate about clinical outcomes, exploring the newest innovations in surgery, clinical research, and explaining treatment options to patients in a systematic fashion. Non-operative modalities are the mainstay of treatment for most patients. When these treatments fail, surgery is carefully considered and personalized for each patient. 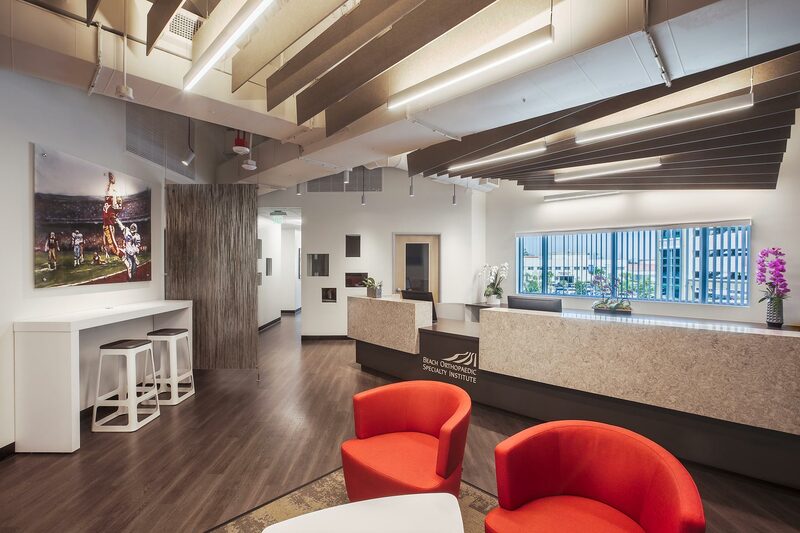 Our office facility is state-of-the-art with in-house x-ray, ultrasound, biologics, bracing, casting, and all facets of orthopedic care. 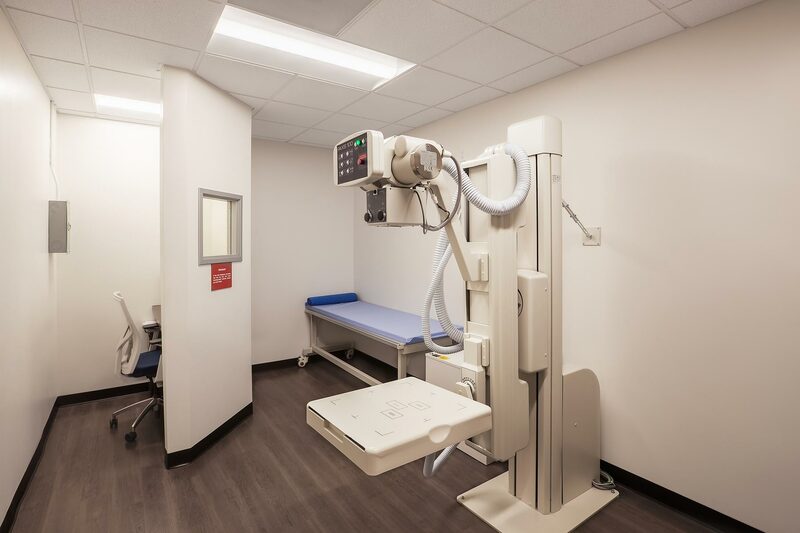 Patient rooms have been thoughtfully designed with large wireless imaging screens to allow for careful review of radiographs or MRIs with patients and families. Our goal is to help patients make the best informed decisions regarding their treatment. 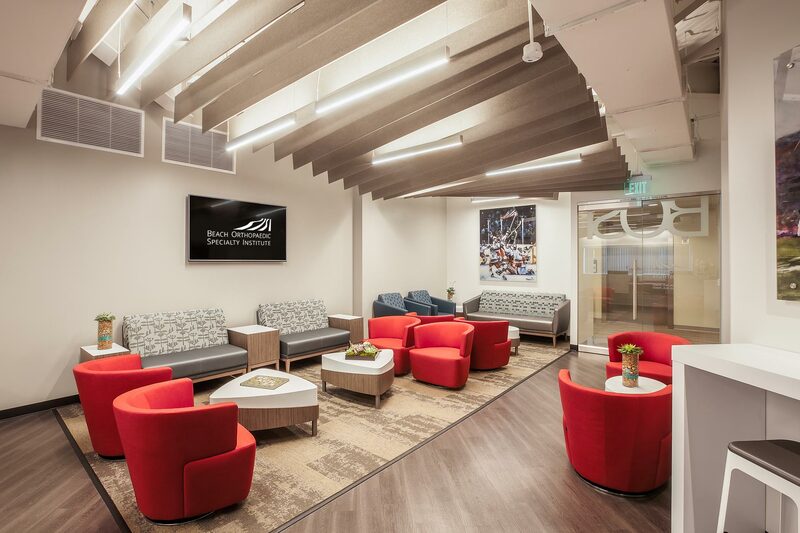 The staff at BOSI is exceptional and hand-picked for their years of experience, compassionate personalities, and outstanding work ethic. 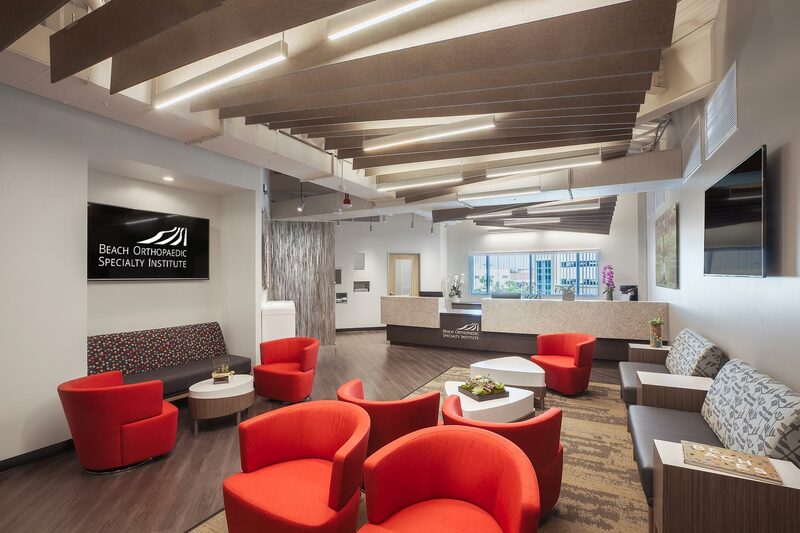 Our friendly office staff is like a family and take pride in guiding patients every step along the way from the initial check-in process all the way through your recovery. My disabled son needed back surgery for bulging discs. We were referred to Dr. Verma. Dr Verma heard all of my concerns, assured me my son would be taken care of, saw to it I was informed by all the appropriate Doctors of just what would be done with my son. I let him know I wanted to see my son as soon as he came out of surgery. Dr. Verma had someone call me every hour to let me know how surgery was going and that my son was doing fine, he came to the waiting room and got me as soon as surgery was over and took me to the recovery room so I would be there when my son arrived so I could see him wake up. As I, myself, needed back surgery I went to Dr. Verma. He and the hospital staff took care of me as well as they did my son. Dr. Verma continues to call and check up how my son and I are doing and I can never express my gratitude for him enough. I had my first appointment with Dr. Verma in mid-June, 2018 for what would be diagnosed as an enlarged herniated disc pinching on my sciatic nerve. I was experiencing an excruciating amount of discomfort and pain – I could barely stand, I could hardly walk, and could only sit in certain positions. It was very easy to make an appointment and I never waited very long to be seen in any of my check-ups or follow ups. When describing my condition, he was extremely thorough in his explanation, recommendations, and recovery expectations- always ensuring I understood the situation. His voice is soft, but not quiet, he is confident, but not arrogant and his concern is genuine – a combination that gave me enormous comfort in making the decision to have surgery on my back. Throughout his treatment I truly felt he went above and beyond offering information and assurances. He personalized the treatment, exhibiting true concern for me by personally – not just having a nurse or staff member call – personally following up before my surgery, immediately after the operation and then numerous times during my recovery process. Additionally, the nurses and staff at his office returned calls, forwarded messages, and assisted with paperwork quickly and professionally. 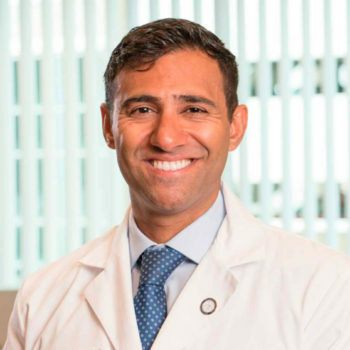 While surgery is always a scary endeavor, Dr. Verma was there throughout to answer any questions and address all of my concerns. My family and I are truly grateful to Dr. Verma, as my recovery is nearly complete I am feeling incredibly better. Hi my name is Cassie, I was 14 years old when I had my surgery on November 15th, 2017. My surgery was a back fusion from L3 to T6. My lungs were collapsing on my rib-cage and it was painful in my every day life. My recovery went smoothly and it helped that Doctor Verma gave beyond amazing care. He constantly checked up on me, called me on holidays to check in, and always asked me for my opinion and if I had any questions, he always included me in discussions and made me feel like I was included in the process. Though recovery was long, and in some circumstances painful, he was there with me every step of the way, cheering me on. He truly has his patient’s wellbeing at heart, and cares for them. I can now walk long distances pain-free, my daily life flourished, I got stronger, I gained more confidence, and I can stand straight without the pain. Don’t hesitant if you have questions, ask them! This effects your body and you deserve to have your questions answered. It’s going to be tough, but the outcome is worth it. Doctor Verma takes the extra step and if you have any concerns let him know. He’ll always be there for his patients! Outstanding Surgeon. Very patient oriented. Dr. Verma has ensured my pre and post op work has moved along very well. Dr. Verma performed spinal fusion surgery in December. He has closely followed my progress and been quickly available for any questions or concerns that have come up. He provided his cell so that I could contact him after hours and on weekends. I did, he answered quickly. The pain I was previously feeling is gone. When he evaluated my case he provided multiple approaches to the surgery, clearly explaining each approach as well as it’s associated he advantages and disadvantages so that we came to an agreement of the best way to handle my case. Great Doctor. Thank You Beach Orthopaedics! Dr Kushgara Verma was very thorough in his assessment of my physical complaint. He compared old MRI data to the current scans. Dr Verma spent quite a while explaining the test results at several appointments and then the options to resolve the problem. I felt very at ease knowing he was doing my surgery. After surgery Dr Verma was wonderfully attentive, calling to get frequent updates and visiting 2-3 times each day. Once home he called my husband to keep abreast of my status. I trust his judgement and his ethics of his practice. His kindness was very appreciated. 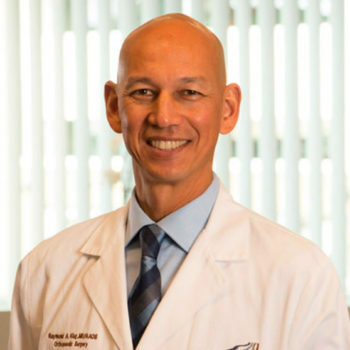 His office, Beach Orthopaedics in Los Alamitos, was very efficient with information and paperwork. Staff is friendly and helpful. While surgery is never “fun” my experience as a surgical patient of Dr Verma was fabulous and I trust him implicitly. Dr. Verma is compassionate and caring. He spoke with me about my options and suggested researching. He gave me his personal cell number for any questions. He called me to ensure that my post op was going as planned without problems. Back surgery 1/2018. One year later I am able to do daily activities without pain. He has followed my progress and made suggestions for my plan. I highly recommend Dr. Verma to anyone needing back surgery and care!